Transitioning a business from targeting consumers to a new direction and repositioning as a Business to Business (B2B) service. Nicola Cerini wanted to transition her business as a textile and bag designer to focus more on nature inspired design for urban spaces. She wanted help communicating to a new audience as she was shifting from the general public to fostering partnerships and collaboration with architects. Nicola’s bags and textile design business focused more on the consumer (business to consumer) as this new transition targeted building business to business relationships. 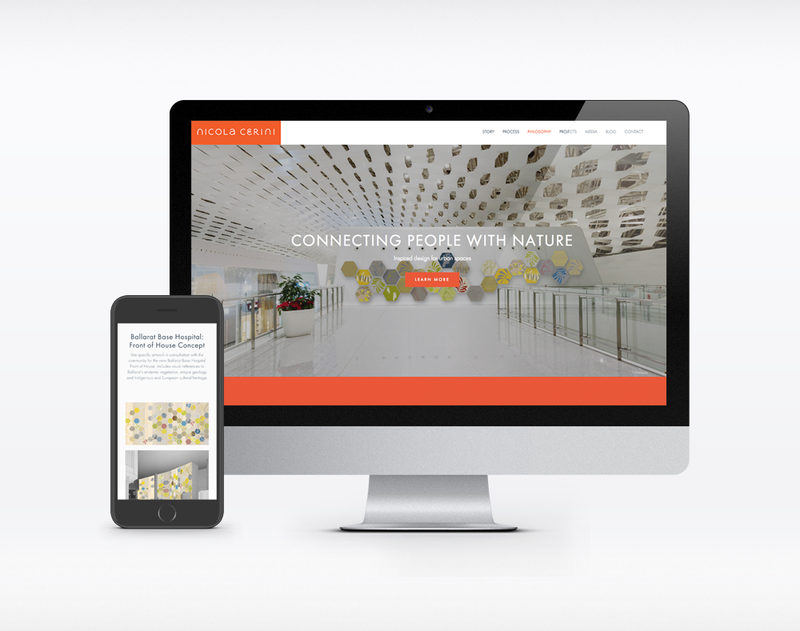 Nicola met with Liquid’s team who helped her transition her website to a business to business model which also highlights her passion for reconnecting people to nature through art. 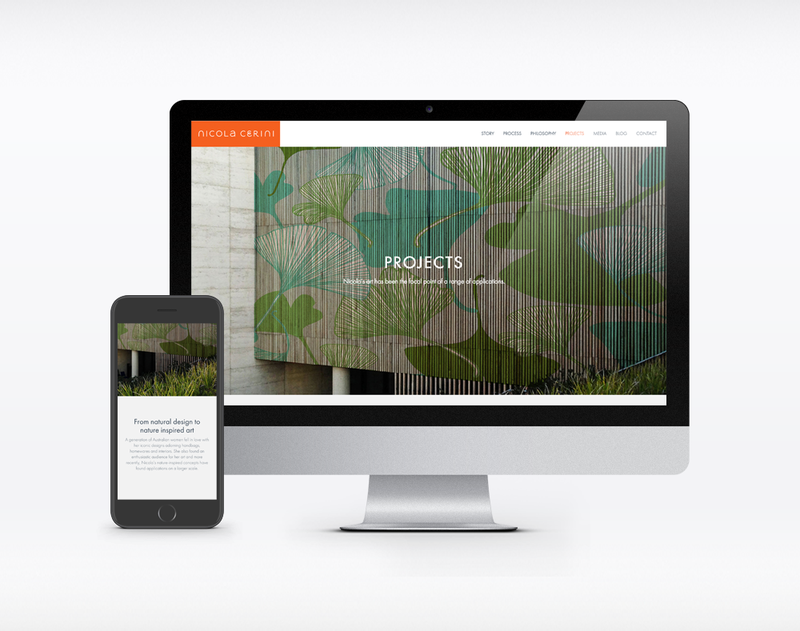 The new responsive website showcases her artistic achievements, articulates her philosophy for urban spaces and allows her to engage more effectively with architects, developers and urban planners. 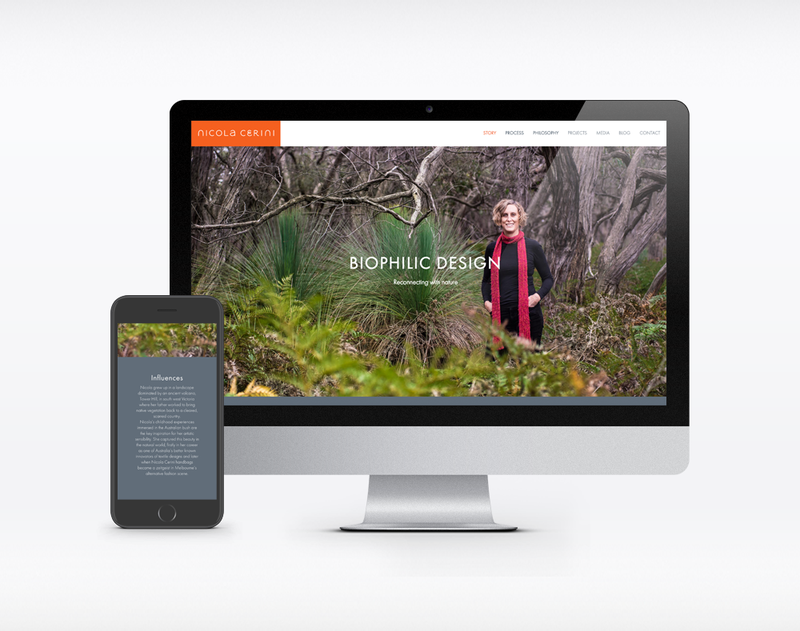 Nicola’s new online presence has the right branding and structure to promote her passion for her new business strategy. I can highly recommend Sue and her team to anyone embarking on the task of rebranding themselves or their business. Over the past couple of years I have been transitioning my business to a new area of design and was looking for guidance in presenting my ideas and my new business focus. I made the transition from selling to end consumers to targeting business, city councils etc… as clients. Through a workshopping process Liquid were able to uncover the essence of who I am and what I stand for, distilling this information to define what it is that is unique to me and my work as an artist/designer. 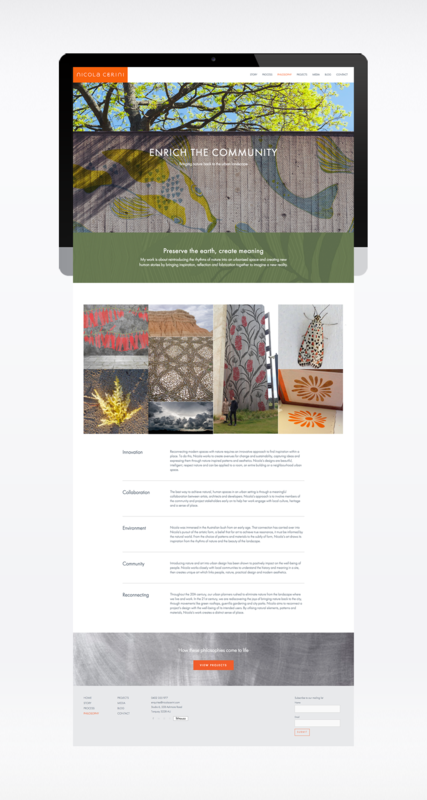 Using this information, they mapped out a brand template and used this to create a website that reflected my story and background, philosophy, process of working, past and present projects. The feedback I get about my website from clients and peers is outstandingly positive. Many, many thanks to Sue and her team.